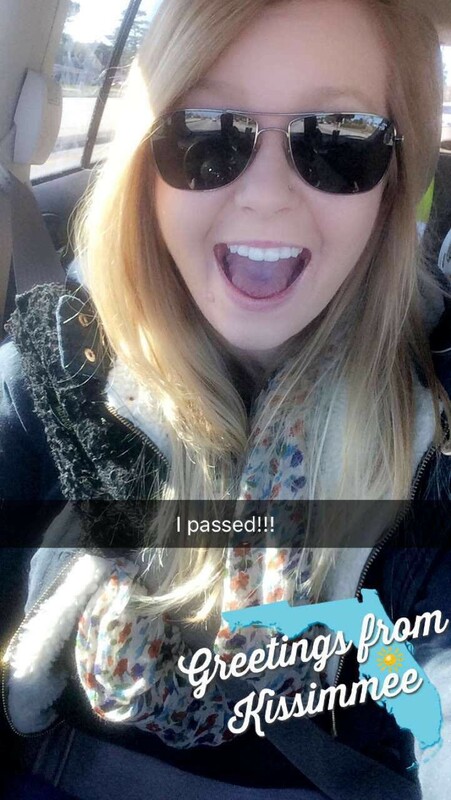 Alyssa Odom, Field Engineer at PCL Construction, sharing a photo after she passed the FAA Part 107 Remote Pilot knowledge test. Tell us about yourself and your work at PCL. Hi! 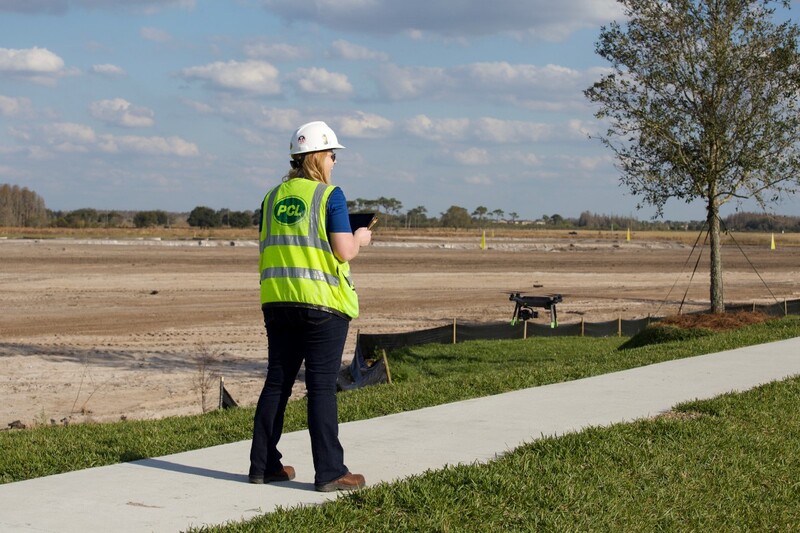 I’m Alyssa Odom, and I’m a field engineer at PCL Construction in Orlando. I’m currently working on the Epperson Crystal Lagoon project, which will be the first Crystal Lagoon project in the United States. Once complete, it will be large enough to paddleboard on and kayak in! When did you decide to take the FAA Remote Pilot Exam? I was finishing up my previous project, and Bill Bennington, virtual construction manager for PCL in Orlando, called me. He heard I was assigned to the Crystal Lagoon project and explained how I would be able to use the drone on the site. I thought it was interesting how we could use it track everything from elevations to site progress. Had you heard about using drones before that? Yes, I had a professor at Auburn University who had been doing research on drone usage in construction, but I hadn’t heard about it much since then. When I got the call from Bill, I learned PCL was already using drones, and that for me to fly the drone, I would need to pass the FAA Remote Pilot Certification test. What did you do after Bill suggested you take the test? I signed up to take the test about a week after Bill mentioned it to me. I found a test center at a small airport nearby and booked a test time about two weeks out. After I made the appointment, I started studying for the test. I used the regulations cheat sheet online and then broke down the test into smaller parts that I could study for an hour or two every day. The first thing I studied were the aeronautical charts. If I didn’t understand something, I would search online for more information until I got to the answers. Then I moved on to weather and forecasts. When did you start using the practice tests? I studied for about two to three days before even looking at the practice tests. Once I took the practice test for the first time, I realized I needed to study even more. What did you think was challenging while you were studying? It was definitely the aeronautical charts, which is a large portion of the test. It’s funny, our office’s special projects manager saw me studying the charts one day and became interested. It turns out he’s a pilot, and he was excited to help me study. I also have a friend who earned his commercial pilot’s license, and he was able to help me understand the terminology and charts better. I took the practice test a few more times to help build my confidence before taking the FAA test. Tell us about your experience taking the test. I showed up to the test center, next to a small airport, about 30 minutes early. I got there even before the proctor did! Once the proctor arrived, he set me up on the computer, walked me through a couple practice questions to learn the system, and then left the room. I was a little nervous about time management, so I flagged questions when I wasn’t sure about the answer and then returned to them at the end of the test. At first I didn’t realize all of the photos on the screen were also available in the book provided. The photos were blurry on the screen, so I was so happy to see them crisply displayed in the book. I later learned this book was available publicly. How did you feel after you realized you passed the test? I felt a wave of relief! After I passed I sent photos to my friends to show them I’m now a certified remote pilot! People are nervous because they think they need an A+, but remember the test is pass or fail. Who else should be taking the test? It makes sense that anyone in BIM or VDC should get their license. I also think any field engineer who is working on a remote project like this one could benefit from getting their license. I’m looking forward to using the drone to monitor the progress of our project and verify earthwork quantities. I can also imagine using the drone at high rise buildings to take photos of the exterior for quality control purposes. What advice would you give to other people taking the test? Just book a time to take the test and go study! Use the resources available online and then ask friends and colleagues if you need more help. It’s not an easy test, but you can definitely pass if you study. "Drones Go To Work" charts the rise of the drone economy, and explains how they have quickly matured into an enterprise-ready technology that’s being used in construction, engineering, and more.